Should You Visit the ER or An Emergency Dentist? Emergency Dentists USA is your number one premier source for finding all emergency dentists in El Cajon. We have taken the time to compile a list of dentists in the area that can help you. We know how horrible tooth pain can be and it will not simply go away on its own. You will need to have the proper procedure performed to alleviate your discomfort. Bookmark this page for future use! It’s a fantastic website, full of helpful information for any dental emergency. It’s so great they offer a free phone service as well to help out those who aren’t so tech savvy. After hour dental clinics in El Cajon are available and they stay open later than traditional offices. In fact, most of these after hour clinics are open until 7:00 pm and they are even open on the weekends. Walk in clinics allow you to walk in and be seen without an appointment and they are also usually open on the weekends. Patients who have minor to moderate dental problems can visit an after hour dentist and receive the care that they need. Most patients find this option convenient because they are not required to miss work to get the care they need. Emergency Dentists USA understands how intense tooth pain can be, and if you are in pain, the last thing you want to do is call a bunch of offices to find out if they can see you today. Fortunately, we have created a list of emergency dentists in El Cajon for you to browse through. All you need to do is take a moment to identify one near you and then call them to schedule an appointment for immediate care. Description During your visit to El Cajon, you don’t want the sudden onset of severe dental pain threatening to dampen your vacation. If it does, forget about skimming through the 9 to 5 dentist listings, and let us do the work for you! Pick up the phone and call our hotline when you’re suffering. Description: This Town Center Dental Group and Orthodontics office is located right on Town Center Parkway, and has Saturday hours from 8 AM till 5 PM. On Mondays and Tuesdays, you can visit late until 6 PM, and they even stay open until 7 PM on Wednesday. Don’t spend the entire week in pain, and get to this clinic now to have them attend to your dental needs. Description: Everyone wants a place where they know their child will be welcome and well-attended to for dentistry. Here at My Kid’s dentist in Santee, the clinic is available on Saturdays from 8 AM until 5 PM. Visit My Kids’ Dentist to give your child the best in what’s available for dental care in Santee! Description: Tower Dentistry in El Cajon is an all-purpose practice that is even open on Saturdays for your emergency needs. You can visit on Saturdays from 8 AM until 1 PM. Come visit the staff that is well-known for providing standout service and dentistry to all patients who walk in the door. Description: El Cajon Family Dental is a standard weekday clinic that can help you with routine items such as cleanings and fillings, and is open until 5 PM Monday through Thursday. You can come to this clinic if you have issues stemming from an abscessed or aching tooth or any other emergency needs such as extraction or root canal. If you have never been to this El Cajon dentist before, you should arrive about 10 to 15 minutes beforehand to fill out paperwork. The paperwork will ask you questions about your medical and dental health and will be used by the dentist to help treat you. If you have visited this dentist before, you do not need to fill out the paperwork again, but you will be asked to verify your information and update anything that is outdated. When you call to schedule the appointment, you should inquire about the cost of services. Even if you do not know what type of service you need, you should ask about some generalized pricing ideas so you know what to expect. You can also ask about what payment methods are accepted and whether insurance is accepted if you have a policy. If you suffer from any type of allergies, you should let the dental office know so that they can properly prepare for your procedure. If you suffer from dental anxiety, you should let the office know. Many emergency dentists offer sedation options to patients. Dental pain does not just go away and will continue to persist until you receive treatment for it. If you think you have a dental emergency, you should get in touch with an El Cajon emergency dentist right away. Dental abscesses are a serious dental emergency and need to be handled swiftly. They appear in between teeth and at the root of the tooth. If you think you have a dental abscess, you should rinse your mouth out with warm water and avoid touching the area. 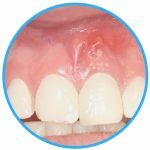 If you accidentally drain the abscess, the infection can spread to other areas of your mouth or body. If you are in pain, you can take an over-the-counter pain reliever. If you have lost your filling, you should attempt to recover it. You should place a piece of sugar-free gum into the hole. Do make sure the gum is sugar-free, otherwise, you may experience a lot of discomfort. If you do not want to use gum, you can place dental cement into the hole. If you are experiencing pain or discomfort, take an over-the-counter medication such as Tylenol. You can also place a cold compress on the exterior of your cheek where the filling was lost to reduce swelling. 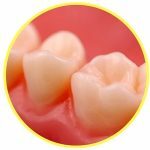 If you have a lost crown, you should attempt to recover it so that you can try to place it back on the tooth. If the tooth is bothering you, place a small amount of clove oil on it. You should attempt to place the crown over the tooth, but do not force it. You can place a dental cement into the crown to help it hold on the tooth until you can see your dentist. When you visit an El Cajon emergency dentist, you may be told that you need to have an emergency tooth extraction performed. There are some instances when your tooth cannot be saved and alternative treatments such as dental crowns and fillings just won’t work. Once you have been told that you need to have a tooth extraction, you should have it performed quickly. You do not want to wait as the condition may get worse or become complicated. Tooth extractions do not require a lot of downtime and you will likely be fully recovered in just a day or two. If you are experiencing severe tooth pain, it is important that you seek out treatment for your tooth right away. You may think that you need to go to the emergency room with your dental problem, but this is not actually the best choice. The ER is equipped to handle medical conditions, but they cannot handle or perform dental procedures. This means that the most the ER can do is look at the tooth in question and then prescribe you medication, if necessary. You would be better served at an El Cajon emergency dental office. Here, the dentists work around the clock to provide you with the care you need. They can perform the procedures you need, when you need them, to alleviate the pain and discomfort you feel. There are some situations where you should visit the ER even if your teeth are involved and that includes times when you suffer from trauma, are involved in an accident, or have broken your jaw. Before you visit any new dentists, you should always verify their licenses and certifications. 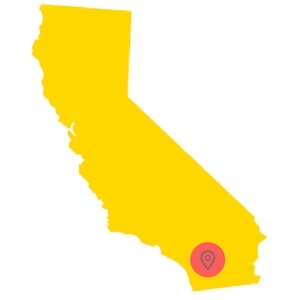 You can check with the local California dental society, the California Department of Consumer Affairs, and the Dental Board of California. Emergency Dentists USA is a website that is intended to provide you with dental information ONLY. The information found on this site should not be used to replace or substitute the advice from a trained medical professional. 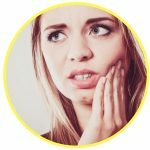 If you have severe mouth pain or you think you have a dental emergency, you should try to find an El Cajon emergency dentist. If you cannot, you should call 911 or head to the local ER.